Easter is such a wonderful part of Spring and April is a perfect time to explore the Somerset countryside around Mill Meadow with flowers, trees and wildlife all bursting into life as the long winter sleep comes to an end. So shake off those winter blues and try some of these ideas with friends and family this April and save up to 30% on selected lodges. 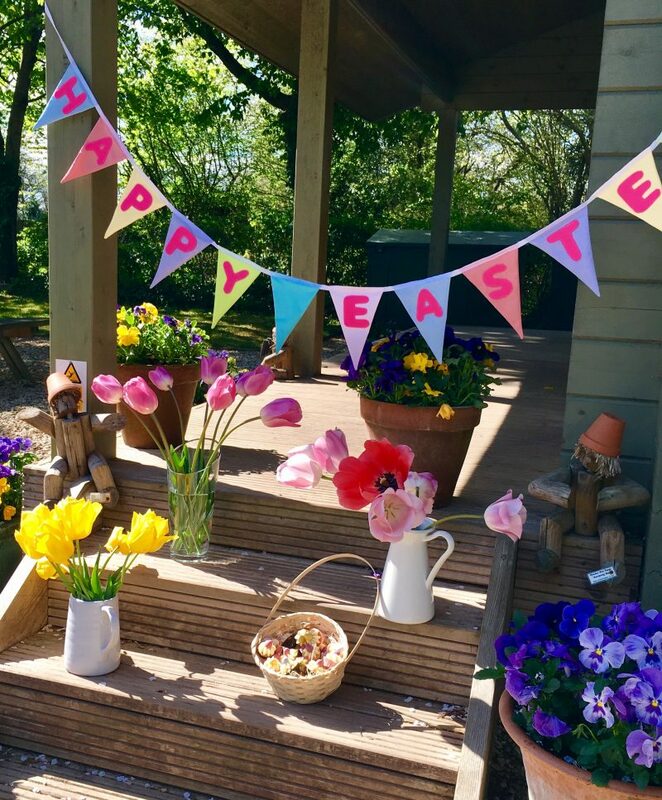 So many great things to see and do this Easter from your Mill Meadow Lodge explore the neighbouring Quantock Hills and wider Somerset and relax in your private hot tub at the end of a fun filled day. Get into the Somerset countryside this Spring, 6 ideas for all the family and four legged friends. Visit dog friendly Hestercombe gardens for coffee and cake. Dunster Castle (dogs sadly not admitted) and village with its Yarn Market and shops, especially the chocolate shop! Taunton Castle and museum is a a great place to spend some time catching up on some of the most pivotal parts of history including the English Civil War. The West Somerset Steam Railway will take you in style to the coast through Watchet to Minehead. Learn about traditional cider making with a visit to Sheppy’s Cider Farm.